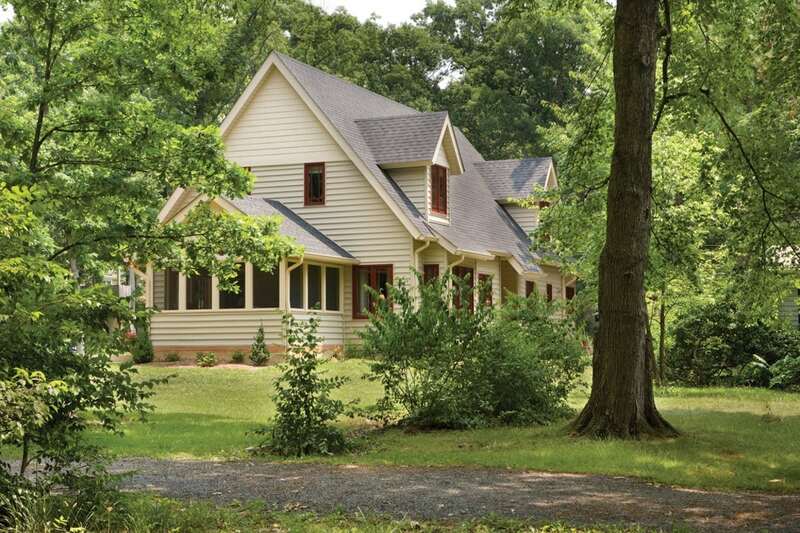 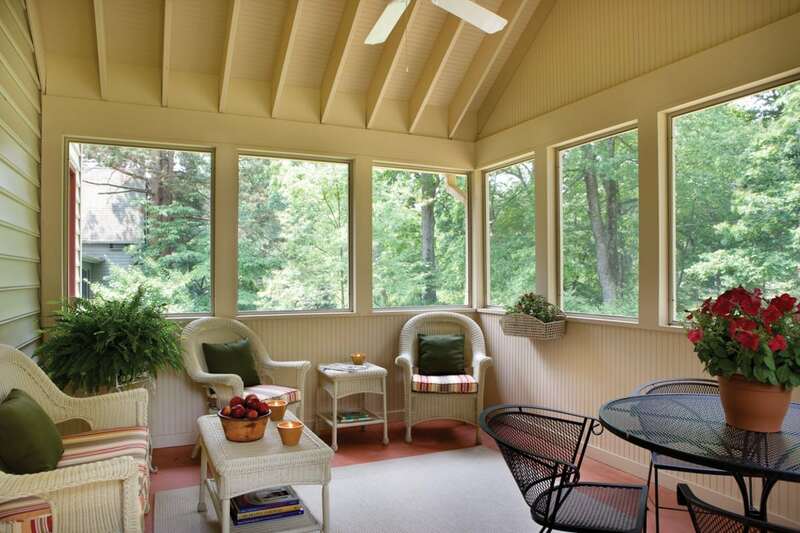 Just a short train ride from Washington, D.C., this home in Washington Grove offers its owners peace and serenity. 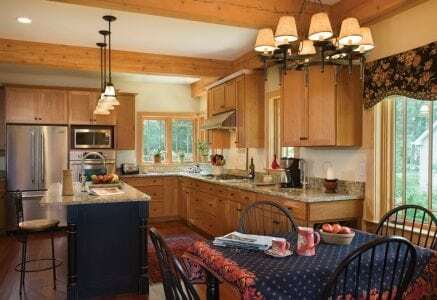 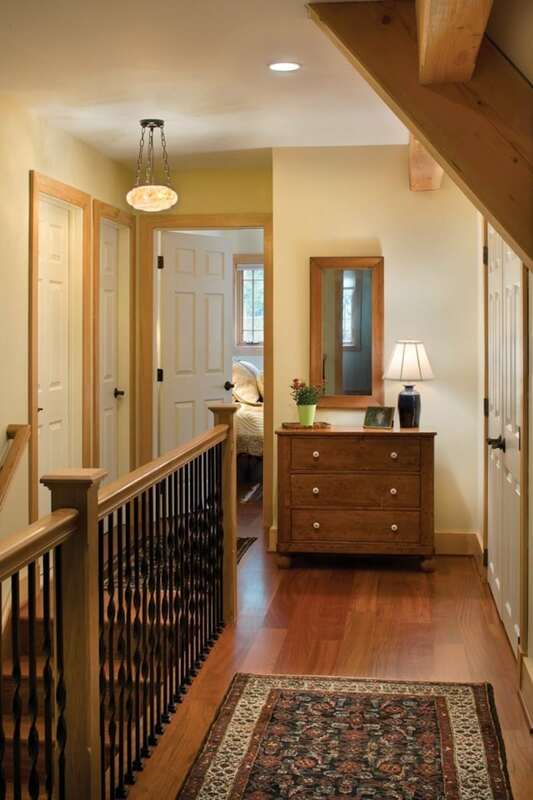 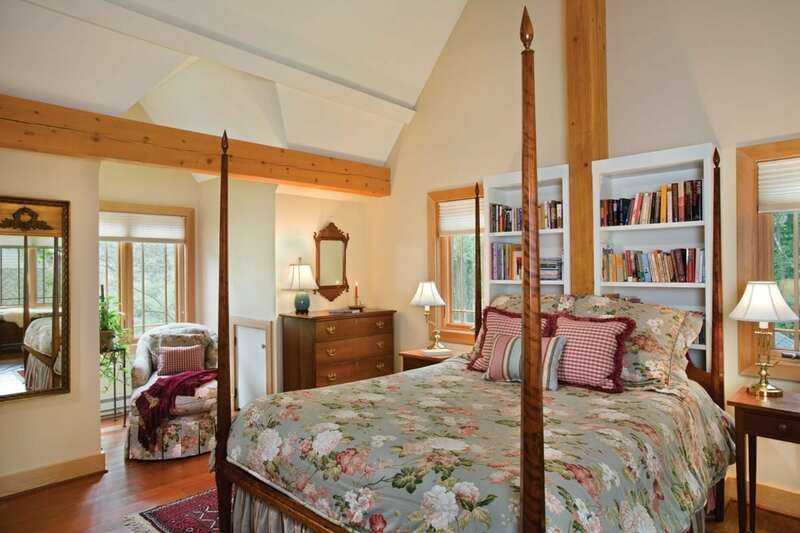 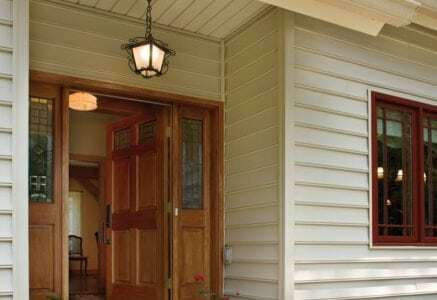 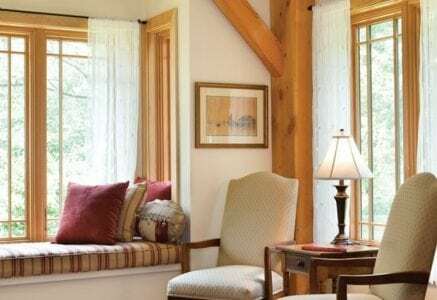 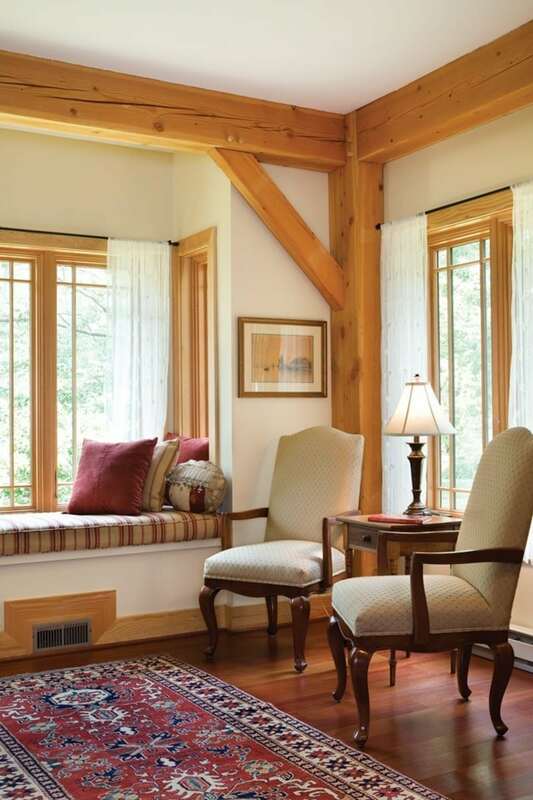 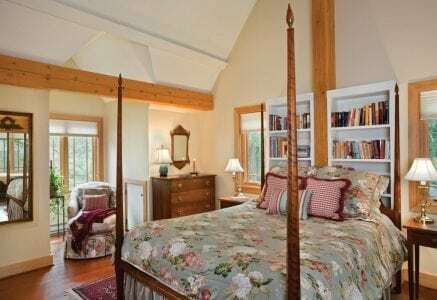 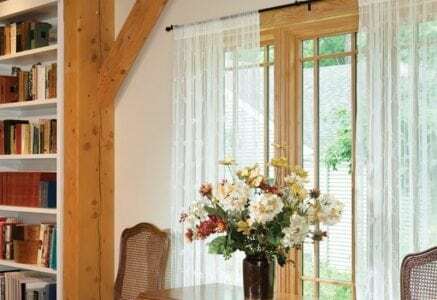 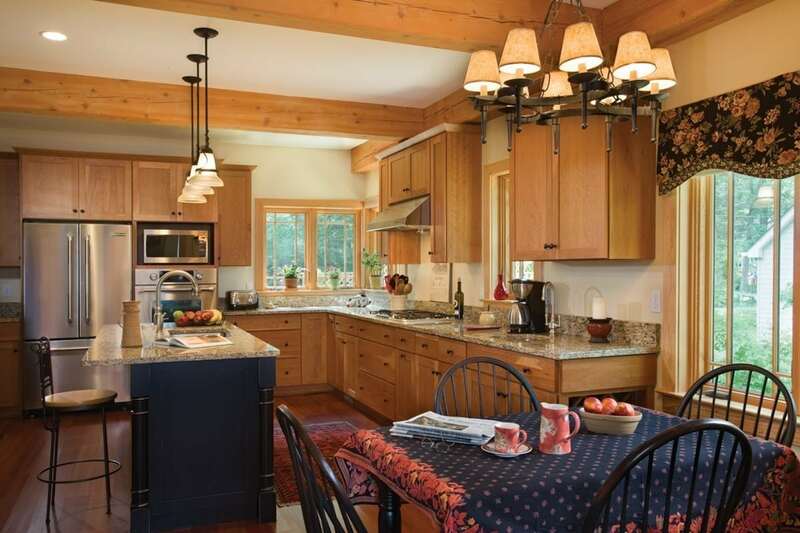 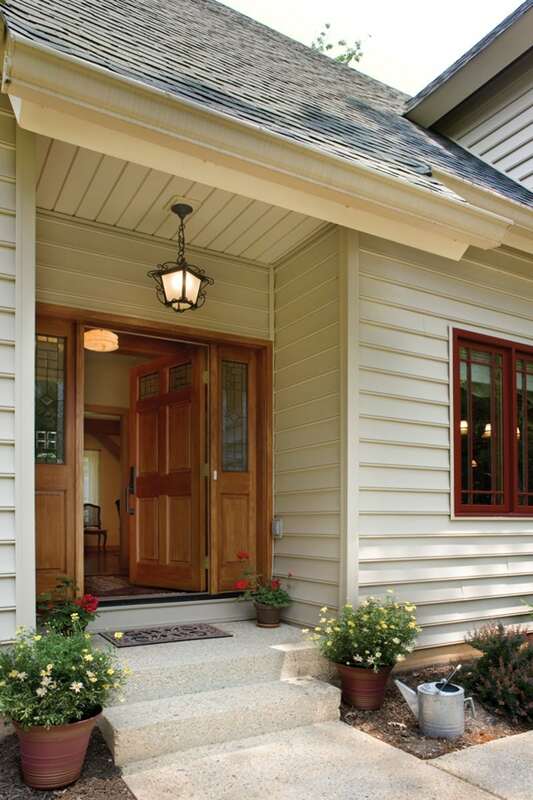 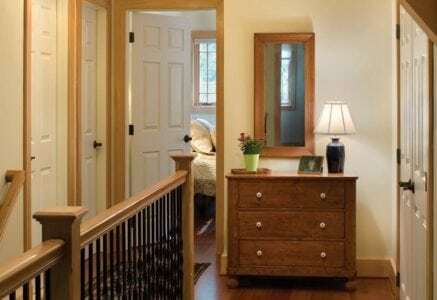 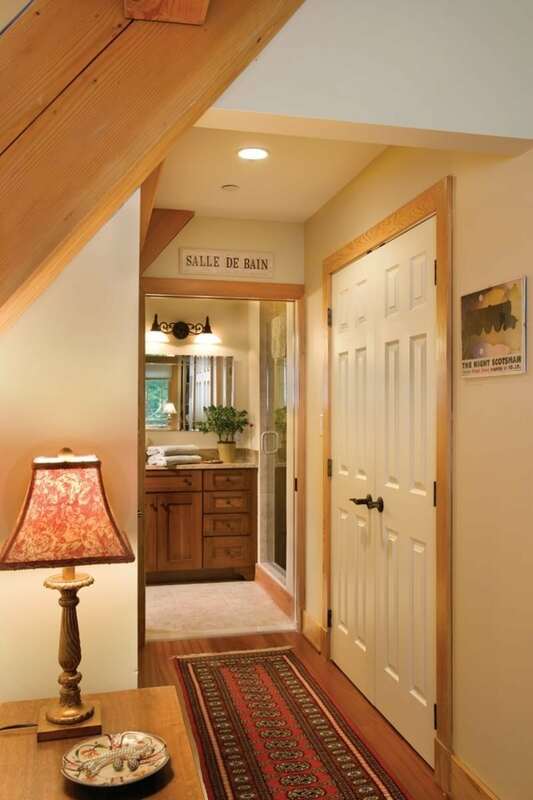 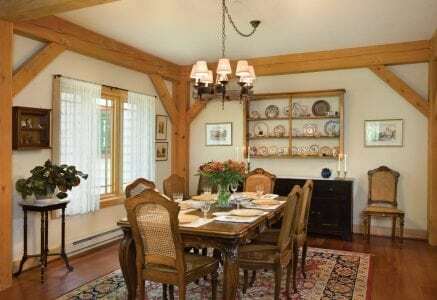 The home’s cottage-style architecture fits with the architecture of the town’s historic residences and creates a cozy atmosphere to retreat to after a hectic day in the city. 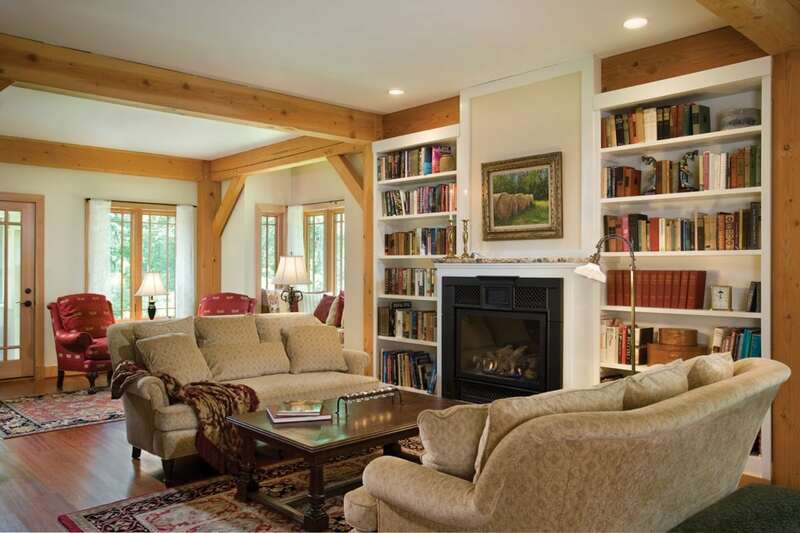 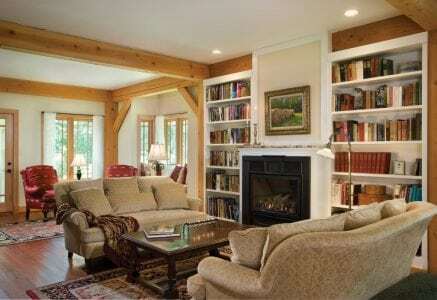 The entry opens to a true great room, with the library, living room, and dining area all flowing together. 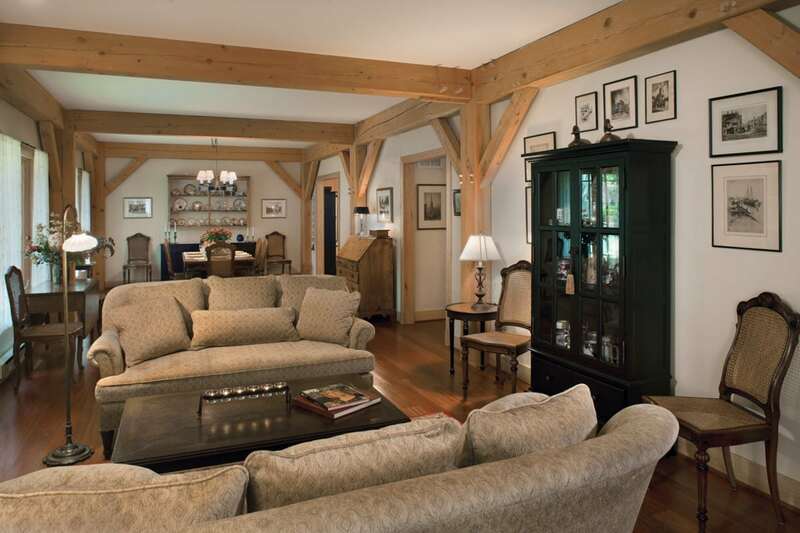 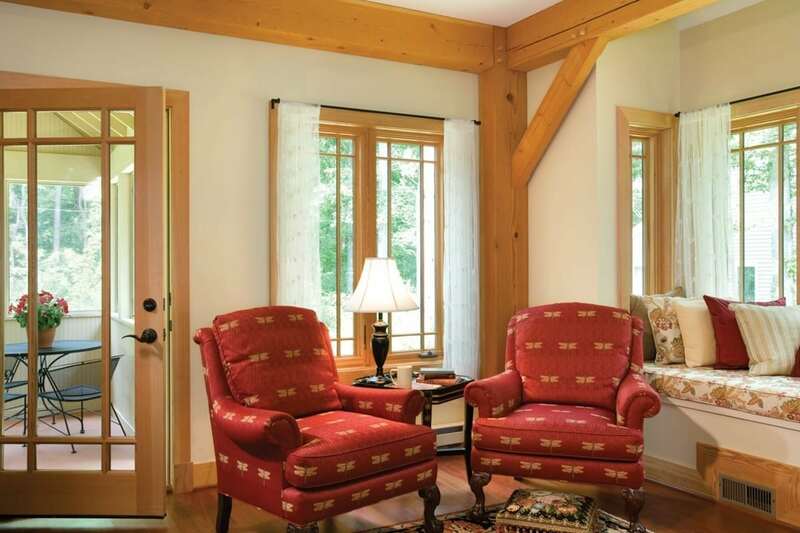 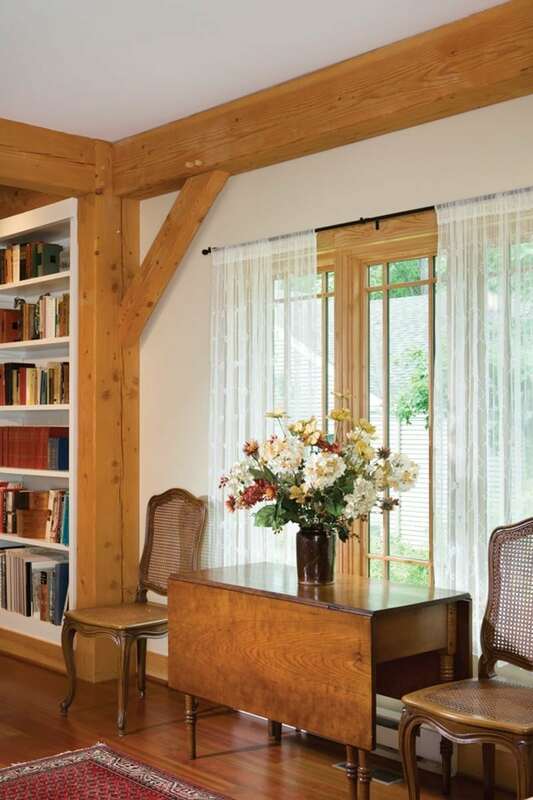 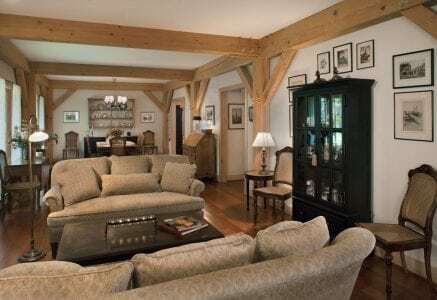 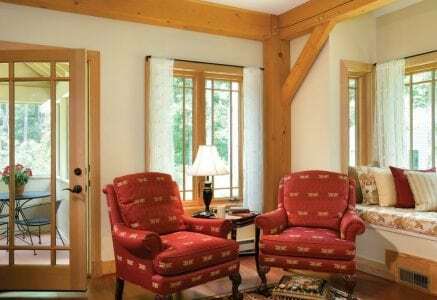 While not the typical vaulted ceilings associated with timber framing, the nine-foot ceilings are high enough to showcase the beams, but low enough to create an intimate gathering area reminiscent of early European cottages.